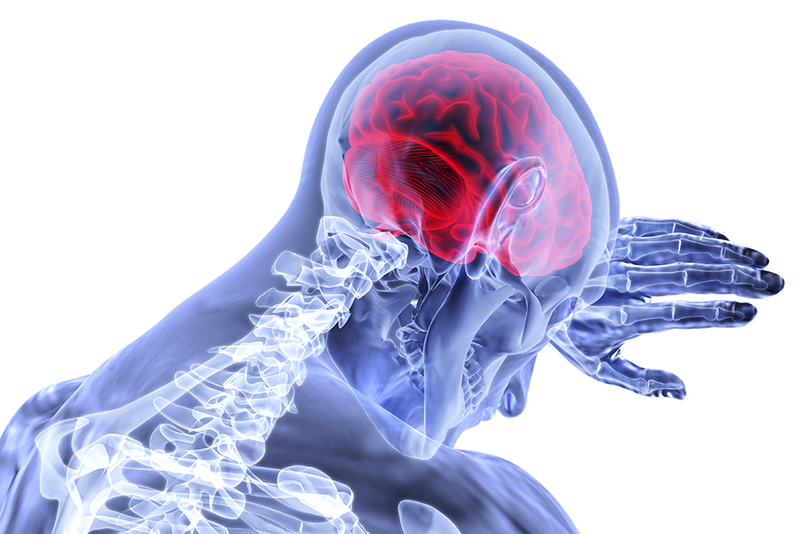 A stroke is often called a brain attack and should be treated as seriously as a heart attack. A stroke occurs when blood flow to a region of brain is obstructed, resulting in a rapid loss of brain function. Majority of strokes are ischemic, resulting from a thrombosis or embolism. Some are hemorrhagic, caused by rupture of a vessel in the brain and consequent leaking of blood into brain tissue/cerebrospinal fluid. Acute ischemic stroke (CVA) – “white stroke” – 87 % caused by thrombosis, embolism and arteriosclerosis. Transient ischemic stroke (TIA) – caused by a blood clot which dissolves and the symptoms will clear up a few minutes after start. b. Speed with which the lesion occurs (e.g. Slowly forming lesions: collateral blood flow formation occurs = less impairment occurs as a result). Long-term use of platelet-inhibiting agents. E.g. Heparin, Aspirin. Majority of recent stroke survivors are elderly and also have comorbidities, such as osteoarthritis and additional CVD that may limit function. Goal phase 2: Decrease the risk of additional strokes and CVD by influencing glucose regulation, decreasing BW and BP, and managing blood lipid levels. If you suffered from a stroke, here at Fish and Field Biokinetics we offer hydrotherapy as an exercise tool for recovery. Make an appointment with one of our aqua therapists to begin your journey to recovery. Contact Us. A friend of mine said he has suffered 3 strokes, due to his high pressured job. He is in his 50’s. I can’t see any lasting side effects. What kind of stroke would this be, and what exercises, as a lifestyle change, would you recommend? I would assume that your friend did go to see their GP and probably a neurologist after having these events? From what you have describe, it was most like TIAs (transient ischemic attack). These are also known as mini-strokes, with symptoms such as weakness on one side of the body, blurred vision or slurred speech lasting for less than 24 hours. As mentioned, this would still need medical attention and they would’ve been advised whether or not to go onto medication and what lifestyle-changes should be made. I would suggest though that he needs to reduce his work stress – start including things like meditation, walking in a park where he can de-stress, etc. Exercise would include more cardio and low resistance work, and would have to be graded (starting off slower and progressing intensity). He might want to start off an exercise program with a professional, as to make sure he is not exerting himself too much.